Calvin's Custom One Sixth Arnold End of Days, Conan the Barbarian, Conan the Destroyer figures. 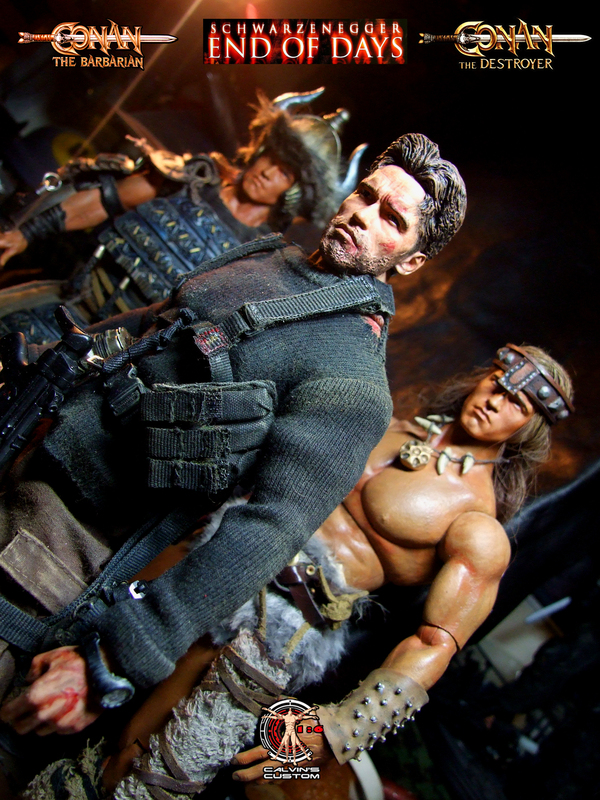 Calvin's Custom One Sixth Arnold End of Days, Conan the Barbarian, Conan the Destroyer figures. HD Wallpaper and background images in the Arnold Schwarzenegger club tagged: photo calvin's custom calvinscustom calvin lo 1:6 one sixth arnold schwarzengger customizer end of days conan the barbarian conan the destroyer action figure. This Arnold Schwarzenegger photo might contain anime, comic, manga, cartoon, comic buch, karikatur, and comics.